In a fairly ordinary wardrobe without a recent clean up, we can divide the 100% into the good ol’ 80/20 rule. There are only two categories in your wardrobe. As you know 80% is 4 times more than 20%. Obviously, it can be a bit difficult to find the golden 20% amongst the 100%! There might be many reasons for clutter in your wardrobe. 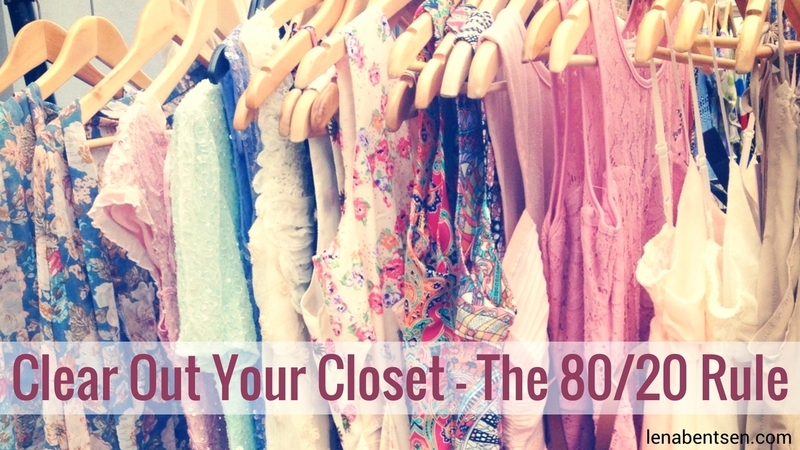 Your overflowing closet might not be overflowing because you have kept clothing since your youth. It might be because you just have too much in relation to your usage. Nice, useful, modern clothing, but too much of it. The 20% is clothing you wear. Like, really wear. Not clothing that could be worn, but isn’t, because then we are dealing with the 80%. Be very aware of this difference. There is so much we can wear, but so little we actually wear — and even less we need, even though it is useful! We have our favourite clothing. Clothing that we wear all the time—almost regardless of the season. In winter, a cardigan is worn over the blouse together with a scarf, and in summer the same blouse is worn, but together with something else. Clothing you rarely use might be nice for parties, or for occasions like a ski trip or when it is time to paint. It is still clothing you use, but rarely. Of course, it should not stop you from being critical once it is pulled out of the wardrobe. That was the 20%. They are as such not a problem—except that they are hiding. The 80% is clothing you do not wear. Remember, we are talking about you. This is where you need to focus on clothing that you do not wear. The reason is completely irrelevant now. It simply concerns clothing you do not wear. For example, have you spent too much money on a piece of clothing that turned out not to be your best friend? Well, the damage is done and you will not become richer, nor more beautiful by saving the magnificent piece one year more. • Outdated clothing, but still nice and pretty. 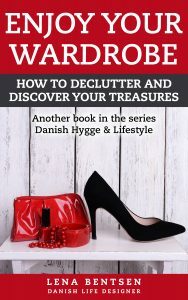 • Somewhat expensive clothing when purchased, and now you are reluctant to get rid of it. • Clothing that does not fit anymore. We will not get into why…! • A lot of specific clothing, which means you cannot wear it all. • Clothing you were tempted to buy, but have never worn. In the end, it turned out not being your style. • Ruined clothing that you haven’t repaired. • Clothing that is no longer nice due to wear or a stubborn stain. • Clothing that has been washed too many times—or maybe incorrectly. • Clothing without its companion—such as socks. Clothing, like so many other belongings in our lives, comes and goes. Though there seems to be a tendency for more to come than to go! And here is the pitfall: when we have too much clothing, we do not have a clear picture of what we have or what we need. 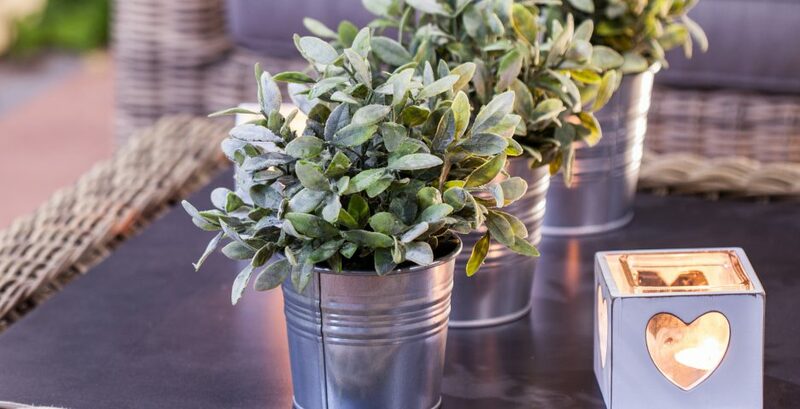 This is a situation that can quickly lead to impulse buying here-and-there that you think you may need or believe will do wonders for your wardrobe. 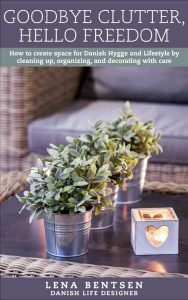 < Previous Goodbye Clutter, Hello Freedom Paperback now Available!